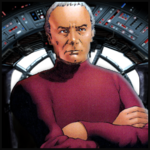 [[Choibacco|Prime Minister Choibacco]] [[Hapes Consortium|of the Hapes Consortium]] declared that Wookiees across the galaxy were outraged by Seinwill's actions. Declaring that Seinwill's actions were a stain on the pride of wookiees, Choibacca decreed that Seinwill was now an outcast from Wookiee society. 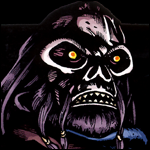 Seinwill could never return to his homeworld of [[Kashyyyk]] again.<ref>[http://web.archive.org/web/20020815134054/http://www.swcombine.com/news/ic/ICtopic.php?msgid=479 GNS: "Dargon's Escape" - Year 3 Day 201] (Archived)</ref> After Yotam was rescued by rebel agents and his safety assured, the United Trade Federation declared Seinwill an "enemy of the people." Bounty hunters were dispatched to hunt him down and kill him. Speaking at the Great Summit of the United Trade Federation, Yotam forgave Seinwill and called for compassion, understanding and peace. 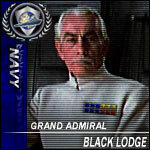 However, Serj continued his terrorist activities, murdering both Rebels and Imperials. In light of Seinwill's continued violence, Dargon declared him to be an enemy of the people and signed Seinwill's death warrant. 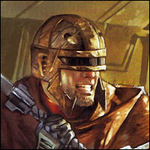 During this period, Seinwill became the most wanted criminal in the galaxy. 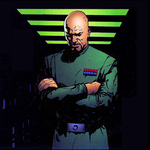 Shortly thereafter, Seinwill fled to Coruscant and attempted to recruit disillusioned Imperial personnel to join his motly crew of brigands. 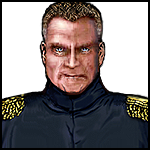 On a dark night in the lower levels, Seinwill was cornered in an alley by a death squad sent by the United Trade Federation. 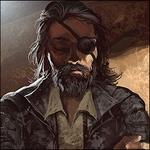 After several hours of combat, Seinwill was captured, although he killed two of his captors in the process. Later that week, Seinwill was transported to an unknown location. On Year 3 Day 357, by order of Supreme Chancellor Dargon Yotam, Seinwill was executed in a grisly fashion in a dungeon. 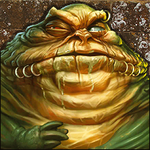 He was the first individual ever to be executed in the history of the United Trade Federation.<ref name="ReferenceA">[http://web.archive.org/web/20021204234425/http://web.archive.org/web/20021204231628/http://www.swcombine.com/news/ic/ICtopic.php?msgid=1149 GNS: "Execution of the Enemy of the People" - Year 3 Day 357] (Archived)</ref> He was strangled by hanging but released while he was still alive, eviscerated, his bowels burnt before him, and then beheaded. His preserved head &mdash; dipped in tar &mdash; was briefly displayed in the Arcadia Museum. 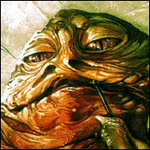 Weeks later, Yotam presented Seinwill's head as a birthday gift to Angobba the Hutt and, for months thereafter, Seinwill's head graced Angobba's throne-room on Nal Hutta.